The HTC U12+ is a refined yet contradictory version of the company's outgoing HTC U11+ that is aimed squarely at tech enthusiasts. The phone comes loaded with a very competitive suite of internal hardware, an on-trend 18:9 aspect ratio screen, a very high quality camera system, and a selection of neat features like Edge Sense 2, dual-camera face unlock, and Hi-Fi edition BoomSound speakers that help separate it from other flagship devices. Innovative but flawed features like non-mechanical haptic buttons, as well as a merely acceptable battery and - once more - a lack of carriers in the UK, take some sheen off the overall package, though. I really liked the HTC U11+ on review for T3, with me commentating that it was a "powerful, stylish and innovative" phone that boasted an "absolutely luxe all-glass body, tall and on-trend 18:9 screen, innovative Edge Sense squeeze-to-operate tech, and a suite of internal components that deliver massive power and performance." 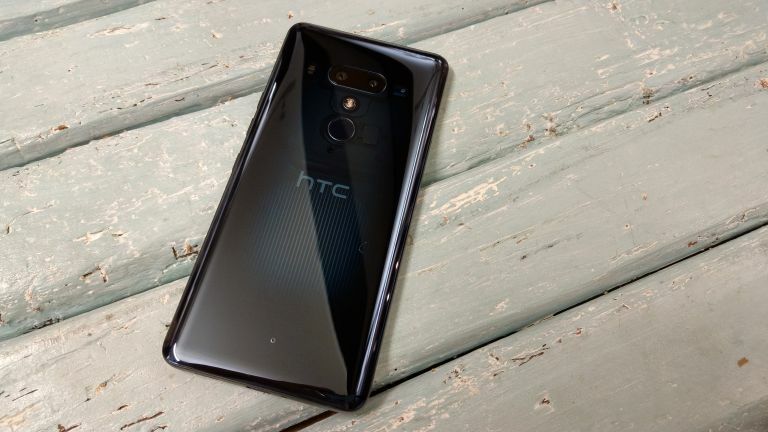 I also said the HTC U11+ was a phone that "you're probably not going to buy" and that it was "released a little too late to matter", playing "all the right notes at the wrong time", with its super late release date (I reviewed it in January 2018) and total lack of carriers in the UK massively compromising it as a mass-market proposition. Fast forward to mid-2018 and HTC is releasing the U12+, a fact that at the very least makes it contemporaneous with its rivals, thereby fixing one of the outgoing's flagship's crippling ailments. The release date, landing mere months after the Samsung Galaxy S9 and Sony Xperia XZ2, and at the same time as other competitors like the OnePlus 6 and LG G7 ThinQ, is bang on the money. The HTC U12 Plus' internal hardware is also incredibly competitive when compared to other rivals like the Huawei P20 Pro, too, which adds to its appeal, and I've been impressed during my testing period with most of its esoteric and unique features, too. Indeed, this is very much a phone aimed squarely at tech enthusiasts, and despite a few issues that hurt it as a proposition, I've been a fan of HTC for many years and, from a position of experience, feel this is among the best phones the maker has ever delivered. As to whether this has all come to late, though, remains to be seen, and if it is the right phone for you is something that will largely depend on what you are looking for from an Android flagship. Read on to get the full picture. The U12+ comes in three colours, Ceramic Black, Flame Red, and Translucent Blue. The HTC U12+ is available to purchase for £699 SIM free in the UK, while the phone is €799 SIM free across Europe. The HTC U12+ is available in three different colourways, Ceramic Black, Flame Red, and Translucent Blue (the lead model). Pre-orders for the Ceramic Black model are now available from HTC's official online store, with Flame Red availability to be made known shortly. The Translucent Blue model is currently listed as out of stock. Pre-orders of the HTC U12+ lodged now will ship in late June, 2018. The HTC U12+ design includes a lovely completely flush backplate. The first thing you notice about the HTC U12+ is its clean new design. The phone is the first, according to HTC, to use cold polished 3D glass in a consumer smartphone and the result is a look that is softer and more elegant than the future industrial aesthetic delivered by the U11+. A completely flush backplate, with not even the phone's dual-camera lenses poking out, add to this sleek, minimalist new design, and combined with the lack of any physical buttons (pressure sensitive instead) and refreshed ultra thin screen border, they make the U12+ very desirable to the eye. If you are a fan of skeleton, see-through designs, I am also happy to confirm that the new Translucent Blue colourway delivers a tastefully subtle, semi-transparent backplate that allows you to see some of the phone's internal hardware. Yes, it is just a gimmick, but it looks good and no other maker is offering something similar, so there is definitely an element of exclusivity delivered. Naturally, all this glass and metal lead to a phone that has proper weight in the hand and unlike some phones that can feel hollow or a little lightweight, such as the LG G7 ThinQ, the U12+ feels very weighty (188 grams) and well made. In terms of other notable design features, the phone's rear cameras are situated in the top centre of the backplate in a horizontal array, while its circular fingerprint sensor rests below this and is unchanged in form factor and position from the U11+. The phone's front cameras are located in the top bezel, which I can confirm is not notched. On the right hand side of the phone you've got a power button and brace of volume buttons. Unlike the buttons on other phones you will have used, these differ in the fact that they are non-mechanical haptic feedback buttons. In layman's terms this means they feel solid and don't move when pressed, with touch sensitivity actuating them, and localised haptic feedback communicating that to the user. My experience with these haptic buttons was mixed. On the one hand they looked and felt great, but on the other hand they took quite a lot of getting used to and, simply put, I lost track of the amount of time I accidentally activated one (and, annoyingly, usually the power button) when I was using the phone or just trying to put it into my pocket. The problem comes from a seemingly variable, inconsistent amount of force needed to activate one of these buttons. For example, when taking pictures with the phone a few times I accidentally lightly brushed the power button with a finger, which caused the phone to immediately turn off the screen. Other times, I'd slip the phone in my pocket only to suddenly get a jolt of haptic feedback, with the lockscreen turning on. Other times, though, this lightness of activation didn't seem to take hold, with me having to forceably over press the button hard for volume up and down commands to register. Most of the time the buttons worked well, but the times they didn't really grated. On the top of the phone there is the device's dual LTE SIM and microSD card slot, while on the bottom of the device there is a USB Type-C connector for charging and data transfer. There is no headphone jack on the HTC U12+. HTC has reduced the device's borders and bezels when compared to the U11+. In terms of base internal hardware the HTC U12+ is very impressive. The phone comes loaded with the flagship processor of the moment, the Qualcomm Snapdragon 845, as well as the powerful Adreno 630 GPU, 6GB of RAM (that's 2GB more than the Samsung Galaxy S9), and 64GB of internal storage. Combined this hardware package puts the HTC U12+ very firmly near the top of the flagship smartphone pile, with arguable only the lightning fast OnePlus 6 and powerhouse Samsung Galaxy S9 Plus offering the potential to outgun it in terms of components. Benchmarking the HTC U12+ in Geekbench 4 confirmed this high performance, with the phone returning a very competitive 2,396 single-core score, and a 8,533 multi-core score. This is a big improvement over the HTC U11+'s scores of 1,937 on single-core and 6,651 on multi-core, although it falls short of the mighty OnePlus 6, which scored 2,478 and 9,046 respectively. Moving on to the U12+'s screen, it is a 6-inch, 18:9, Super LCD6 panel with a WQHD+ resolution of 2,880 x 1,440. This is the same size and resolution as the panel on the U11+, however, due to reduced bezels and borders, it appears larger and more spacious when placed side-by-side. Unlike some other flagship phones of 2018, which use AMOLED panels, HTC's latest device retains a LCD screen, which I can confirm is very sharp to the eye. Brightness, which wasn't one of the U11+'s strong points, appears to be slightly improved on the U12+, too, however, I honestly can't say it is anything to write home about, and is easily beaten by, say, the Samsung Galaxy S9 in this department. You get dual front and rear cameras on the HTC U12+. The HTC U12+ comes installed with dual front and rear cameras, for a 4 camera setup in all. On the rear these consist of a 12MP unit and a 16MP unit, while on the front you get a pair of 8MP units. From my testing of the phone's camera system I can confirm that the HTC U12+ delivers very high-quality, noise-free images. Sharpness and depth of colour is high and the speed of shooting across the phone's various modes rapid. This doesn't surprise me considering the quality of camera it is built off in the HTC U11+, and is seemingly backed up by a stunning DxOMark Mobile test score of 103. And that is not just because the the U12+ is a good standard snapper, but also because its camera system can deliver DSLR-like bokeh and, thanks to its UltraSpeed Autofocus 2, full sensor phase detection autofocus and new laser autofocus, which are definitely most welcome features. An upgraded HDR processing algorithm in the form of HDR Boost 2 also helps deliver dynamism in contrast and colour. In terms of juice, the HTC U12+ is fitted with a 3,500 mAH battery, which is notably smaller than the 3,930 mAh battery slotted into the HTC U11+. From my testing period I am not happy to confirm that I found the battery life on the HTC U12+ to be disappointingly standard. Medium to heavy use saw no more than a day's total battery life on average before I needed to recharge the device, and I would frequently find myself down to below 45 per cent by lunchtime, leading me to plug it in at midday to guarantee it would still be fully operational come late night gaming sessions. Do I feel the battery on the HTC U12+ is an issue? No, absolutely not. But considering that the rest of the package is so premium, and that its predecessor had a bigger battery, makes this underwhelming offering disappointing. In terms of software, the HTC U12+ comes installed with Android 8.1 Oreo (confirmed to be upgradeable to Android P when the new OS is released later this year), which unsurprisingly ran very well on the phone during my testing period, as well as a new edition of HTC Edge Sense. For the uninitiated, Edge Sense is the squeezable side tech that allows you to squeeze your phone (you can set the strength required for this to actuate) and then have a certain action take place, from raising a circular menu system of favourited apps through to switching to the phone's camera mode. I liked this innovative feature on the HTC U11+ and here, in its new iteration, it is more useful than ever. The HTC U12+ comes equipped with a set of Hi-Fi Edition BoomSound speakers. Another new edition in terms of features for the HTC U12+ is a secured dual-camera face unlock. This is an evolved form of face unlock that utilises both of the phone's rear cameras to enhance the accuracy of scanning to mitigate the ability for other people to unlock the phone simply using a picture of you, which has been an issue for certain phones historically. By using two cameras instead of one, the U12+ takes during setup and then demands a level of depth to the scan in order to unlock. I can confirm that the HTC U12+'s face unlock is fast and secure, with it refusing to unlock the phone when shown a picture of me on paper, as well as when I got my partner to try to trick it. The system also wasn't confused when I wore a pair of large overear headphones, as well, consistently unlocking despite the addition. If you prefer to unlock your phone via fingerprint recognition, though, then you'll be pleased to hear that the U12+ comes with the same scanner as on the U11+, which I can confirm remains accurate and fast. To be fair, though, I found myself using the fingerprint unlock very sparingly thanks to the quality of the face unlock functionality. Finally, in a feature that competes directly with LG's "Boombox" speaker, technology that dramatically increases the volume and bass delivered by a phone, the HTC U12+ comes equipped with a set of Hi-Fi Edition BoomSound speakers. I still find the idea of listening to my music through a set of smartphone speakers incredibly un-ideal - we are massive audiophiles here at T3 - however I have to admit that these are louder and more defined than past offerings. Unsurprisingly, for someone who very much liked the HTC U11+, I got on very well with the HTC U12+ during my testing period, with the phone very much delivering a stylish iteration on the outgoing model armed with a more on-trend hardware and feature package for 2018. I liked the future-industrial design of the outgoing flagship, and the new cold polished 3D glass build is even more stunning, helping to deliver a super clean aesthetic that just screams class and premium. I also appreciate HTC not needlessly jumping on the notched screen bandwagon, which I am still very much in two minds about as a "feature". The benchmark scores the phone delivered were very high end, too, and the device's UI navigation was incredibly smooth. The camera system, which has a whopping 4 lenses, was also a pleasure to use, and is without doubt one of the strongest on the market today. On the flip side, I found the battery performance to be merely acceptable at best and the device's innovative features like its pressure sensitive buttons, Edge Sense 2 controls, and dual-camera secured face unlock, were a mixed bag in terms of success. Edge Sense 2 and dual-camera secured face unlock worked very well and were genuinely useful in day-to-day usage scenarios. The pressure sensitive haptic buttons though caused issues and were quite frustrating to use at times - a second development pass is needed. Overall, then, the U12+ is a great, tech-packed Android phone from HTC that should appeal to high-end users and tech enthusiasts. It is, though, let down by its innovative but unfinished pressure sensitive buttons and bog-standard battery life. If you want one then you'll more than likely have to buy it outright from HTC, too, and at £699 that is no small feat. The official slogan for the HTC U12+ is "Live on the Edge" and I feel that is perfect for this device, as if you buy one of these you really will be living on the edge, both in terms of innovation and the inevitably frustrations that come with that. The HTC U12+ is a flawed beauty, a technical powerhouse with an Achilles heel, a super premium flagship phone that both pushes at boundaries and plays it safe. A contradiction of smartphone that may be perfect for one, and absolutely imperfect for another. What has HTC got in store for 2018?